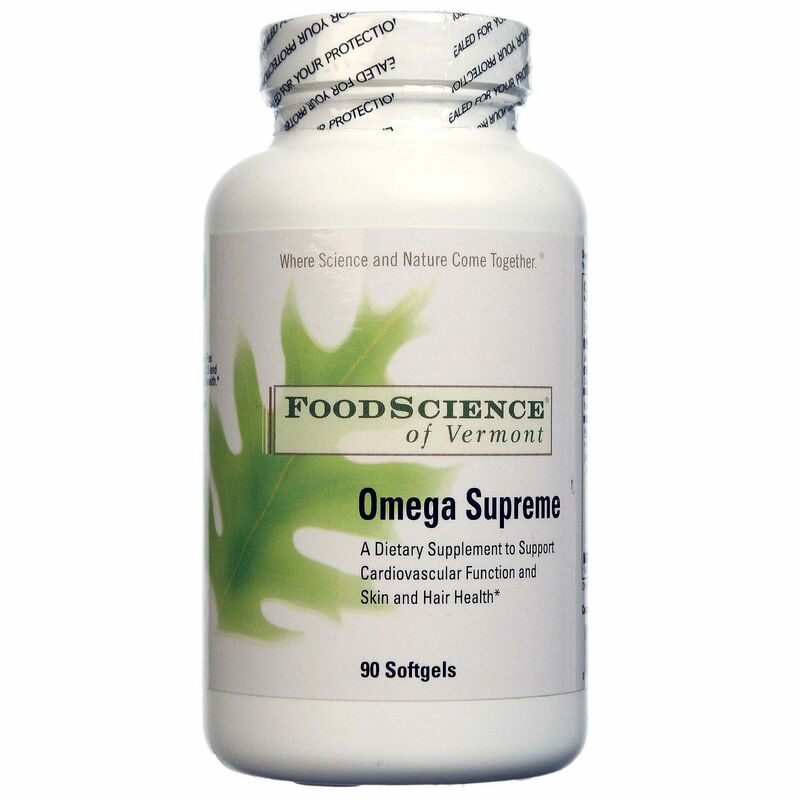 Omega Supreme from FoodScience of Vermont blends borage, flax seed and fish oils together. 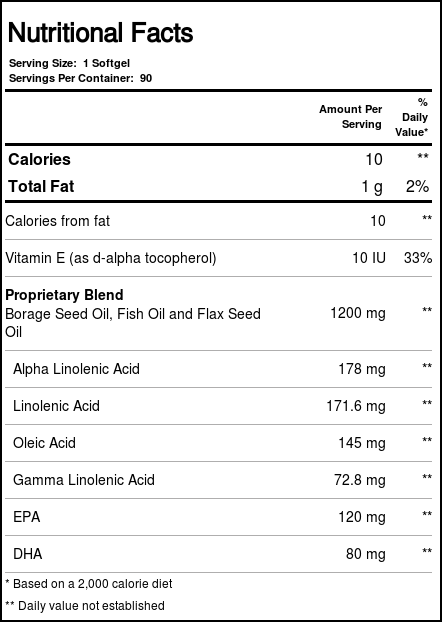 Warnings: Contains fish oil (anchovy and sardines). If pregnant or nursing, consult your healthcare practitioner before taking this product. 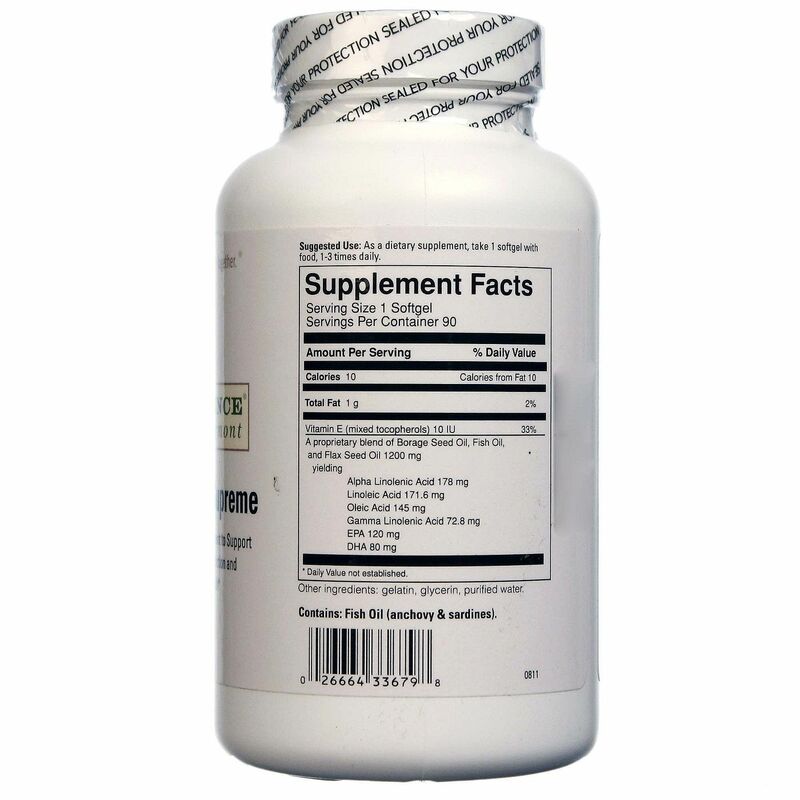 This product contains PCBs, a chemical known to the State of California to cause birth defects or other reproductive harm. Keep out of reach of children. 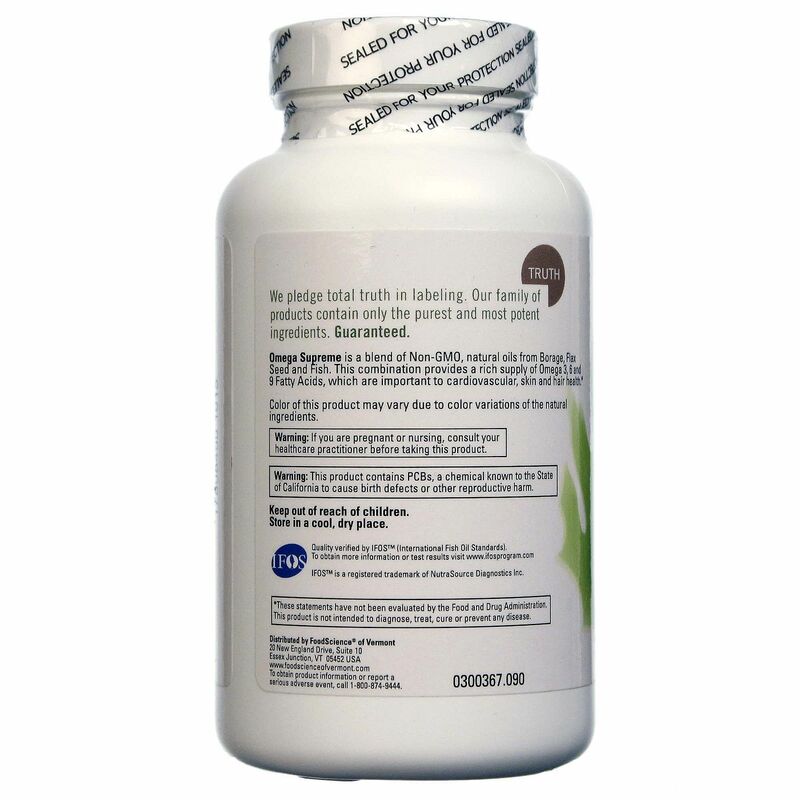 Notes: Color of this product may vary due to color variations of the natural ingredients. Store in a cool, dry place. 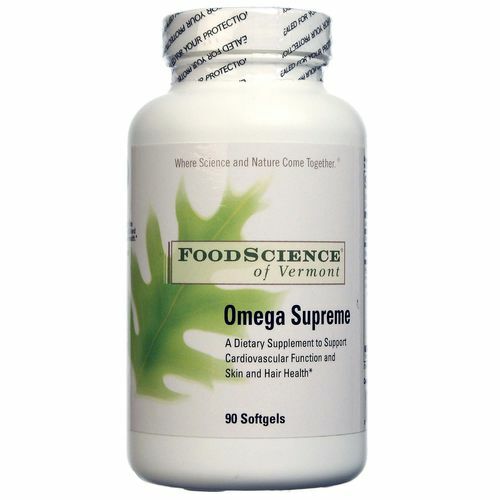 Recommended Use: As a dietary supplement, take one softgel capsule with food, one-three times daily.